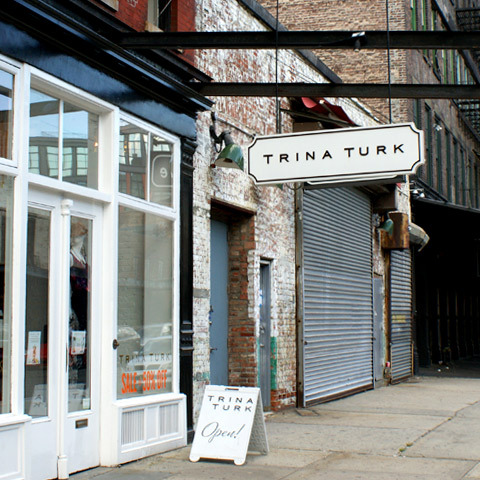 Walking into Trina Turk’s boutique in the meatpacking district will take you from a busy New York street to California in the 1970’s. The store décor reflects Turk’s appreciation for her Californian roots, with her ready-to-wear, accessory and home collections displayed throughout the shop, seamlessly mixing with it's retro backdrop. While the boutique refreshes itself seasonally, you’ll be sure to find Turk’s geometric, bold and colorful prints year round. Her airy, flowing silhouettes are vacation ready, and that even holds true for her holiday collections. In addition to the women’s wear and home lines, Trina Turk also has a men’s collection, Mr. Turk. Trina Turk offers a modern take on iconic vintage at a price that won’t break the bank, either.